Sometimes, your teeth need extra protection – either to prevent further damage or to provide additional strength. 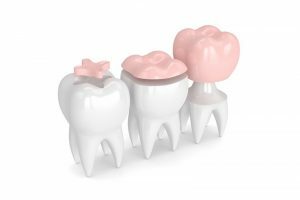 Inlays and onlays are dental restorations that can help to maintain your natural teeth. 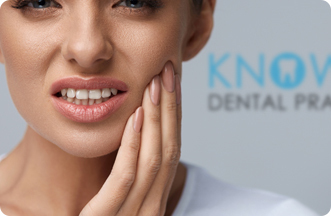 At Knowle Dental Practice we offer patients inlays and onlays made from a range of materials – including gold and composite resin (which is coloured to match your natural teeth, so your treatment is virtually invisible to the eye). Used towards the back of the mouth, an inlay sits in between the four cusps of a tooth, whilst an onlay is applied to overlap the four corners of a tooth. They are cemented into place for a firm and stable finish. Dental inlays and onlays are the midway treatment between a filling and crown. Your dentist will advise you on why they have chosen this restorative treatment and provide advice on how to look after your teeth at home.